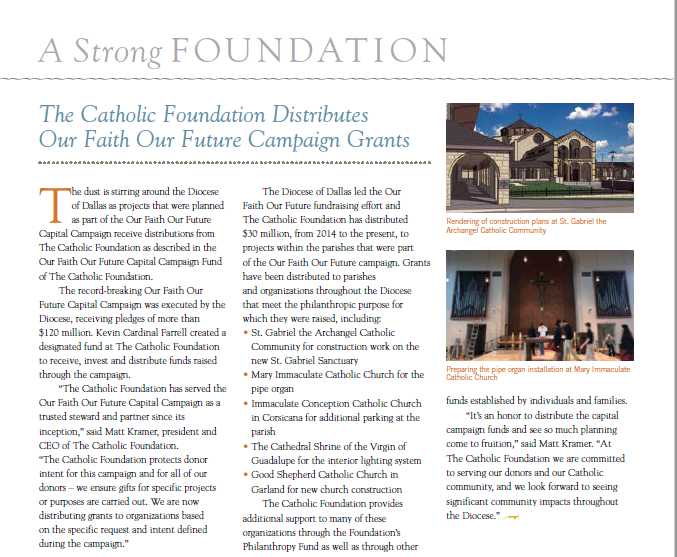 The Diocese of Dallas led the Our Faith Our Future fundraising effort and The Catholic Foundation has distributed $30 million, from 2014 to the present, to projects within the parishes that were part of the Our Faith Our Future campaign. 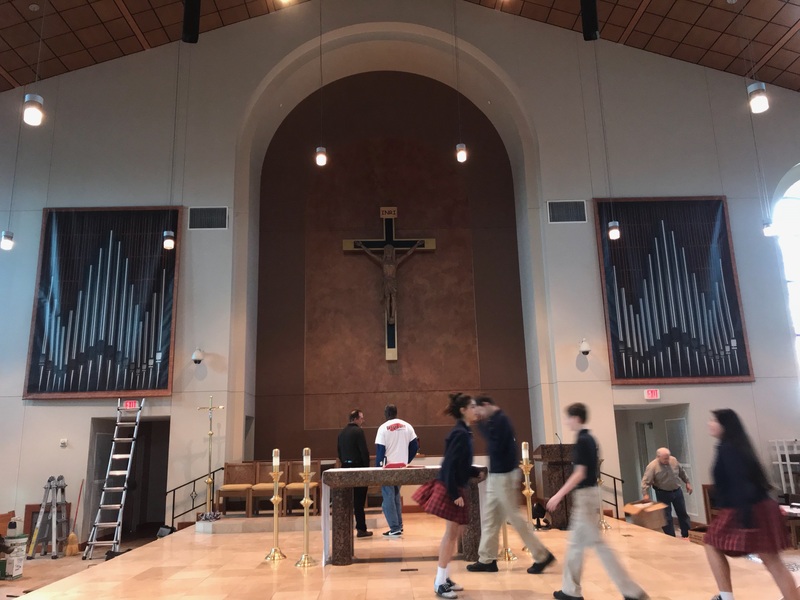 Grants have been distributed to parishes and organizations throughout the Diocese, that meet the philanthropic purpose for which they were raised. We are here to serve all the generous donors to these capital campaigns. 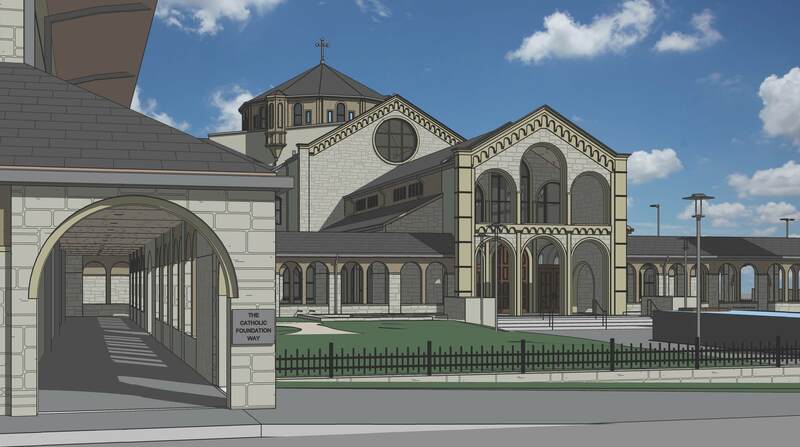 Call 972-331-1630 or Email Gail Morris at gmorris@catholicfoundation.com if you want to make a Capital Campaign payment or change your payment information. *Para pagos de Campana Capital (por ejemplo: Nuestra Fe Nuestro Futuro), por favor llama a Sylvia Windham 972-331-1640 o correro electronico swindham@catholicfoundation.com. Thank you for your faithfulness in fulfilling your pledge. Now that it is finished, these are some other avenues for you to consider to continue your impact in the community.